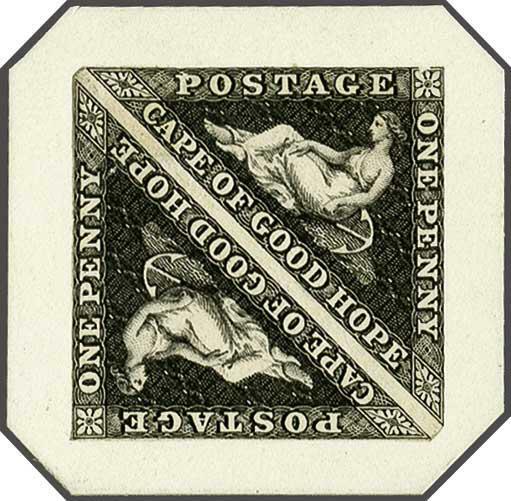 1852/53: Perkins Bacon 1 d. Die Proof in black, an exquisite pair on India paper on thick card with champfered corners, cut to framelines, minor surface scrapes of no importance, fresh and very fine. Rare.rnrnProvenance: Collection 'Bonaventure', RL, Sept 1993, lot 4.rn Collection Mrs. Ad. Indhusophon, Spink, May 1999, lot 12.